University President Rev. John I. Jenkins, C.S.C. and the President’s Oversight Committee on Diversity and Inclusion invited the Notre Dame community to take time on on Martin Luther King Jr. Day and in the week that followed — which we have come to call Walk the Walk Week — to both celebrate the diversity that currently exists on our campus and reflect on how might we each take an active role in making Notre Dame even more welcoming and inclusive. The committee did so, too, in recognition of the fact that we have an obligation at Notre Dame to participate in and learn from the ongoing national and global conversations about diversity and inclusion. 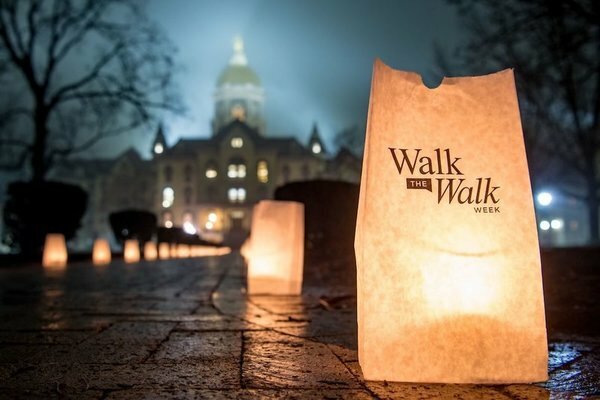 Find out more about Walk the Walk Week and view a calendar of events, video, pictures and news articles at diversity.nd.edu/walk-the-walk/. Originally published by Cidni Sanders at diversity.nd.edu on February 03, 2017.